Title sweep for the Huskies! This past week, we had an incredible week of sports. We crowned a new NCAA Basketball champion when UConn became the first #7 seed to win it all. The Lady Huskies of UConn were also able to capture a NCAA championship on the women’s side. We had the two-time defending NBA champions Miami Heat getting swept in the season series by Brooklyn Nets. Wrestlemania 30 gave us a handful of memorable moments that we won’t forget (Undertaker’s Streak was broken!). Finally, the MLB season is in full swing as we head for some warmer weather. YES! This week’s featured event comes from the world of boxing when Manny Pacquiao seeks revenge on Timothy Bradley. This is the rematch between the two welterweights in which, the first fight ended in controversial fashion with a split decision for Bradley. Check out this exciting fight this Saturday at your local bar. Have a great weekend guys, and don’t forget to find a bar to watch your game! It’s your game, don’t miss it! Hello fellow SportChasers,We have some great updates for you! We have added new teams and sports (golf, boxing…) to the site to ensure that you can find every game that you are looking for. Speaking of that, are you ready for some highly anticipated sports? Here are the top sporting events for this upcoming weekend. Find out about our full schedule on SportChaser.com and find a bar to watch your game. Are you ready for the weekend? Are you ready for a busy weekend? We have some great events lined up for you. 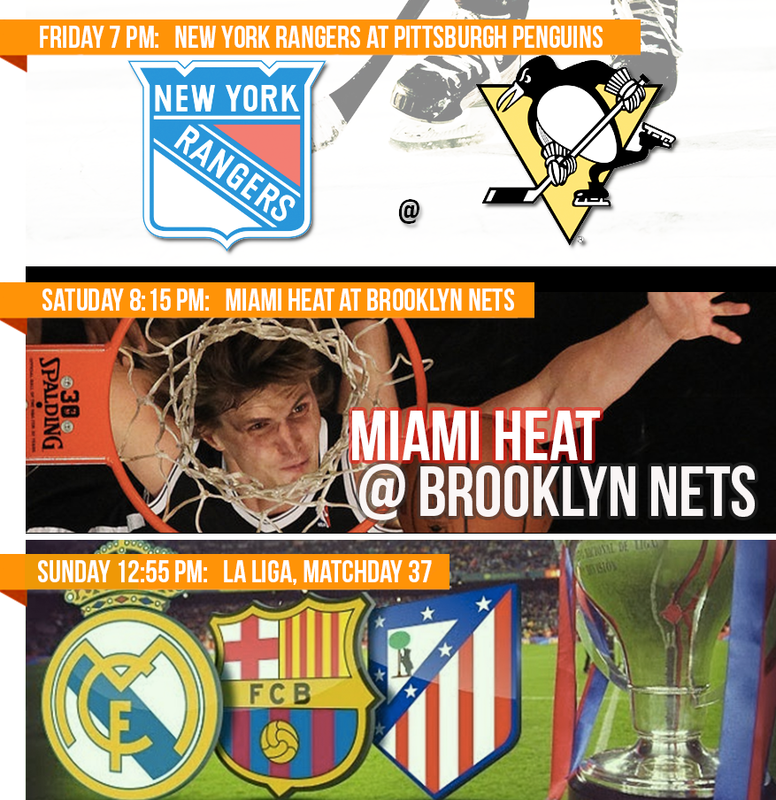 Find out about our full schedule on SportChaser.com and find a bar to watch your game.